This is the elevated spin off vintage utility shirts. 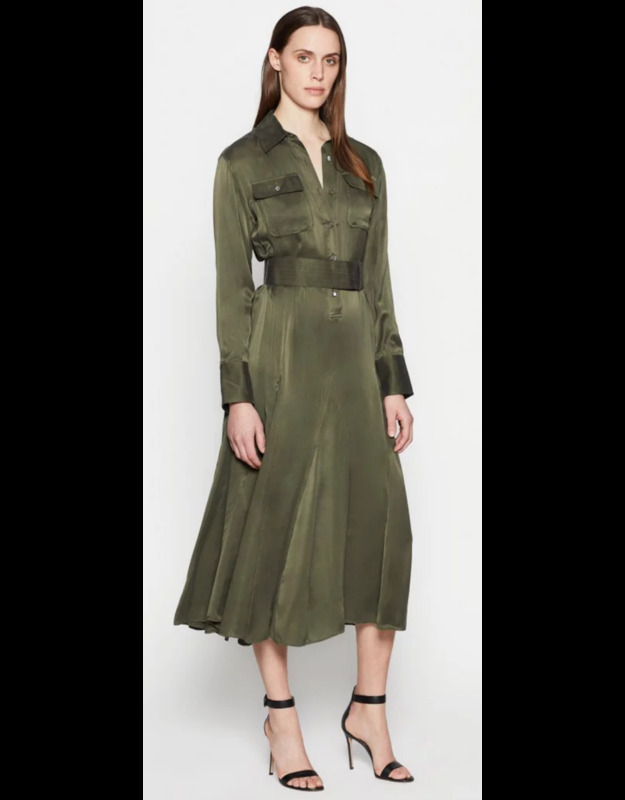 Cut with a touch of sheen in a shin-grazing silhouette and military-inspired hue, the fitted waist pulls everything together. Wear it with a leather jacket for the perfect high-low effect.